Want to ensure you see the best of the Museum when you visit? Visitors to the Museum are often surprised at how many diverse exhibits we have and how much time they find themselves taking to enjoy all of the different aspects. If you are planning a visit to the Museum, here is our list of some of the most popular things to remember for all visitors to the Museum. Our volunteer guides are always on hand to answer your questions. They have a wealth of knowledge about the Museum, it’s exhibits and how they relate to aviation history. You’ll find them roving around the museum, so be sure to ask their advice if there’s something you’d like to know. The Handley Page Hangar has a growing collection of cockpits open for your access. The Canberra Bomber cockpit is exactly how the aircraft was configured in active service and alongside that we have a Jet Provost cockpit, giving you a chance to experience the environment that trainee fighter pilots learned their trade in. We will be adding more and more to this area over the coming months. 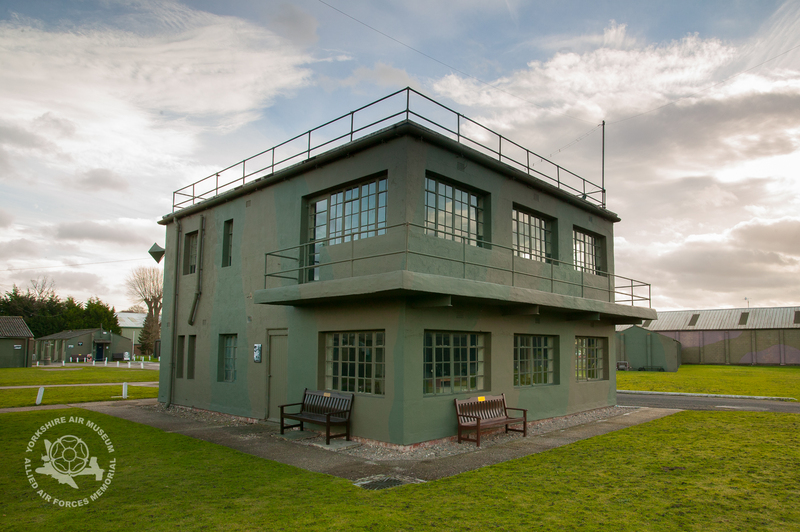 The Control Tower is the original building used by the French Air Force who were based here during World War Two. Still in exactly the same location, at the centre of the Museum, the Control Tower is restored to exactly the configuration of a wartime station. On Saturdays, Wednesdays and often other days too, you will find the Radio Room inside the Control Tower. Here we have a whole range of authentic, fully working period radios carefully tended to by our expert volunteer team. Learn more about how these devices were the forerunner of modern communications, take a look at our SOE radio concealed inside a suitcase and learn how to spell your name in Morse Code. Take some time to visit the exhibition that explains the courage of World War Two Bomber Command aircrews and the incredibly high rate of losses they faced each night. You will find lots of useful facts about the French Air Force crews who were station here and how they suffered losses in excess of 50% over just 18 months. You can also see examples of a Rolls Royce Merlin and Bristol Hercules engines, opened up so that you can see the components rotating in slow motion. Air Gunners suffered the highest attrition rate of any aircraft, with a life expectancy of less than six missions. The Air Gunners exhibition shows examples of the tiny gun turrets that these courageous men spent hours inside, defending their aircraft from enemy attack, plus we have a gunnery simulator for you to try your hand at shooting down bandits. Our C47 Dakota has a long and distinguished history, having served all over the world in both military and civilian roles. Today, she lives in happy retirement either inside the main hangar or outside in the sunshine. Most days, the big doors used for loading cargo or dispensing paratroopers are open for visitors to climb inside and experience that steeply inclined floor up to the old cockpit. Inside the hangar you will find our Halifax III. Known as Friday the 13th she wears the nose art of the most famous Handley Page Halifax bomber of WW2. Known as Friday the 13th, this aircraft survived more than 120 missions and brought her crew back safely each time. Our guides are always around, why not ask them to show you the rear gunner position and answer more questions about this famous aircraft? The Cold War Jets collection at the Museum is one of the most comprehensive in the UK. we have no less than three Buccaneers and two Tornado jets. Plus of course, we have Victor XL231 and Nimrod XV250, both in fully ground operational condition. See how many Cold War are jets you can find around the Museum. The idea of the bouncing bomb used by 617 Squadron to burst the German dams was devised by Sir Barnes Wallis. He tested the idea by firing scale model bombs across water using a catapult mechanism. We have the original catapult used by him on display in out Pioneers of Aviation exhibition. In addition to the 46 aircraft exhibits at the Museum, we also have an entire fleet of vintage vehicles. While are are on static display, others play a vital part in the running of the Museum. You will see out aircraft tugs being used to move aircraft around, while our in house Fire and Rescue Service can often be seen practising at weekends. Sir George Cayley is credited with being the very first inventor of fixed wing flight, the Cayley glider flew in 1853. Inside our main hangar you will find examples of both this and also a 100% scale replica of the American Wright Flyer. Look up above you when inside the hangar to see these early aeroplanes. Family visitors are often surprised at how much time you can spend exploring the Museum. At some point, that nearly always calls for refreshments! Our NAAFI is an original period building, but you’ll be pleased to hear that rationing ended long ago. We have a whole range of options from a simply cup of tea, through to a full, piping hot meal. And as our volunteer engineering team will testify, cake is in plentiful supply! These are just a few of the things you will find if you visit the Museum. If you’d like more facts and information to help guide you around the Museum, this Air Museum Trail PDF can be downloaded and printed out. A great way to keep all the family busy searching out facts around the Museum. We’re proud to hold a Certificate of Excellence on Trip Advisor, so read some of the reviews that others have written on our page here. And finally, don’t forget, we’re dog friendly, so there’s no need to leave the family pooch behind with a long face, bring them along too!